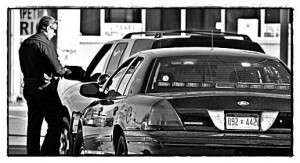 Hamtramck drivers, you can ease up … a little. 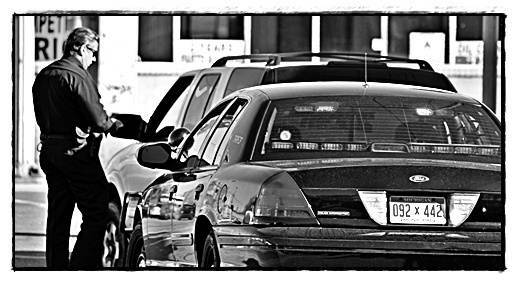 A backlog of traffic tickets has led to putting the brakes on the Police Department’s overtime traffic patrol program. City Councilmember Tom Jankowski called for a suspension of the program until the Hamtramck 31st District Court can catch up with the tickets that are pending. According to the court, tickets issued now won’t he heard until May or June. City Manager Bill Cooper said he hasn’t totally pulled over the patrol program. He said instead of allowing officers to work up to 20 hours overtime per pay period, officers can now work no more than eight hours per pay period on the program. The traffic ticket program was resurrected in recent months in order to avoid layoffs in the Police Department. The union representing officers promised to deliver at least $60,000 a month in traffic revenue in exchange for no layoffs. While that has been a lucrative deal for officers and the city, it’s been less welcomed by the district court. For those of you who have lived here for awhile, get ready for a flashback. In the 1980s, the city was also facing a fiscal crisis and then Mayor Robert Kozaren devised a traffic patrol program that allowed officers to work almost unlimited overtime. That program brought in over $1 million a year in revenue, but it also caused friction with the court. The court was forced to handle an addition of thousands of traffic tickets to process without additional staff to help out. That program came to an abrupt halt for a number of reasons in the 1990s. Flash forward to today, and the city is once again preying on unsuspecting drivers to help make ends meet. But, once again, the court is expected to handle the additional workload without additional employees. “It gets to the point where there are too many tickets and not enough staff. … Basically, we need more staff,” Paruk said. Hamtramck Judge Paul Paruk said it’s worse than that. He said his staff has been forced to take a 5 percent pay cut plus 13 unpaid days off each year. Paruk also said it’s not just a staffing matter. He said his court has space limitations that prevents tickets being dealt with in a timely manner. On top of those two issues, Paruk said his docket allows for only one day for traffic tickets, which is Tuesdays. He said a part-time magistrate handles the tickets, but the magistrate is budgeted for only six hours per week. Paruk said he uses Tuesdays to catch up on office paper work while the magistrate hears traffic ticket cases. He said he would be open to temporary staffing or additional days or evenings for the court to be open, but he said it would require first renegotiating his staff’s salaries. Paruk pointed out that compared to other cities in Wayne County with just one judge, he has the fewest staffmembers, and that they are paid lower than their counterparts. Conversely, Paruk said, his court produces the second highest revenue, again, compared to other one-judge courts in the county. Judge Paruk also pointed out that only his employees were forced to take pay cuts while the city’s other employees – who are members of unions — could not be forced to take pay cuts because of contract obligations. Court employees are not unionized. The city’s other employees have refused contract concessions, except for the firefighters who agreed to a pay freeze that is about to expire. a cut in pay as all the teachers did. Do not take blood money from the people you swore to protect and serve.